In the summer of 1947, as Jackie Robinson was making actual history on the baseball fields of America, a high-altitude surveillance balloon malfunctioned and crashed in the desert. In the summer of 1947, as Jackie Robinson was making actual history on the baseball fields of America, a spacecraft from a highly advanced race of aliens crashed in the desert, and the military immediately covered it up. 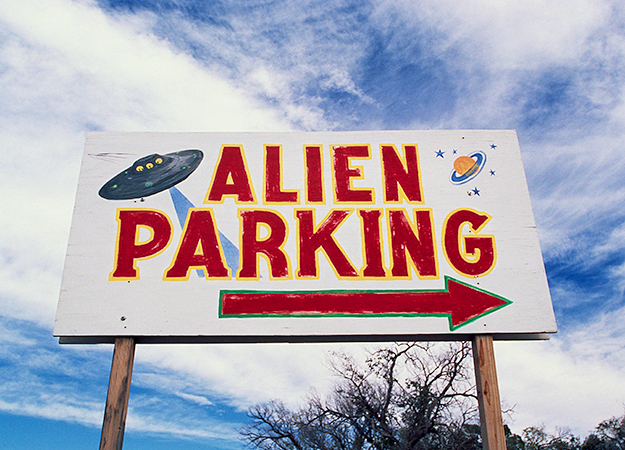 Enough people believe (or want to believe) that latter version to make the alien business the biggest windfall industry New Mexico has ever seen. And, after all this to-do, wouldn’t it be a terrible thing if our first official contact with alien cultures were to occur anywhere else?